A soft cushioning therapeutic 3mm thick gel pad moulded in a toeless sock. 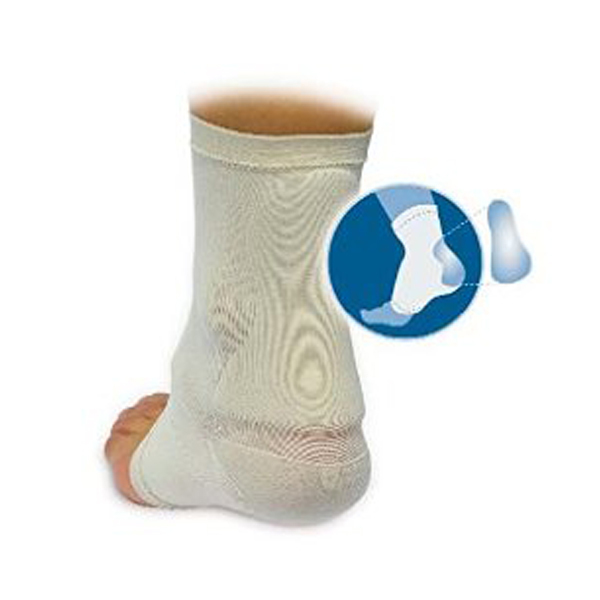 It cushions and protects the achilles tendon by absorbing pressure and friction. Indicated to alleviate pain related achilles tendonitis, bursitis, among other achilles injuries.